Child friendly? Despicable Me is a 3D animated film that tells the story of Gru, a villain who surprisingly is the protagonist of this tale. Gru yearns to be the most evil villain in the whole world, and hatches a plan to steal the moon. He adopts three orphan girls to help him, but winds up discovering that he actually has a heart. The film contains some crude humor and scenes with action. Recommended for children ages 6 and up. Steve Carell enjoys a break from his shenanigans as the batty boss on The Office to play an evildoer with a Russian accent in Despicable Me. 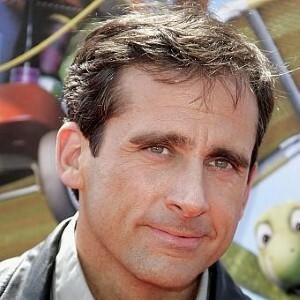 It’s the farthest role he’ll ever take from the goofy Michael Scott, so who cares if the film is animated? When it comes down to it, the funnyman nailed it. Carell lends his voice to Gru, a bizarre-looking guy who aspires to be the most sinister villain in the whole world. He’s certainly got the details down pat – the antihero lives in a basement and is the proud owner of an Insta-Freeze gun. Also, his minions – yes, they’re really called that – are strange yellow creatures, some with two eyes, others with only one. They try to be scary, but (sorry guys!) the tiny buggers are painfully adorable. As it goes with most children’s flicks, some little kiddies are introduced to spice things up. For Despicable Me, this happens with the arrival of Margo (Miranda Cosgrove), Edith (Dana Gaier) and Agnes (Elsie Fisher), three orphans who Gru adopts to help carry out his evil plan. With his little ones in tow he goes on a quest to steal the moon and overtake his nefarious nemesis, Vector (Jason Segel). Released hot off the heels of Toy Story 3 and How to Train Your Dragon, some might think it would be difficult for a film such as this to woo the masses. Believe it or not, Gru and his crew may be just as magical of a cinematic experience. See it with the kids and sit back and watch as they spend 95 minutes full of smiles.